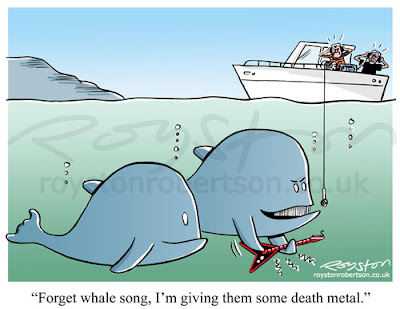 "Forget whale song, I'm giving them some death metal." I haven't blogged as much as I'd have liked to lately. 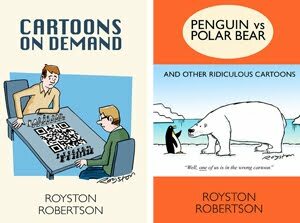 This is due to a combination of things, one of which is that I've been busy lately putting together a book collecting cartoons I've had published over the years. More on that once they're back from the printers, but in the meantime here's another cartoon from current issue of the Foghorn, the magazine of the Professional Cartoonists' Organisation. 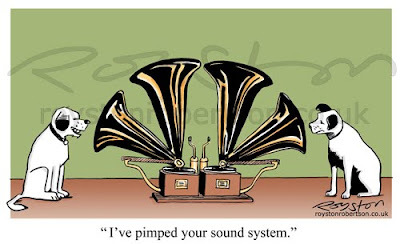 "I've pimped your sound system." As regular readers of this blog will know, I've done many, many HMV dog cartoons over the years. It's like an illness. Quite a few have been published but some, such as this one, are languishing in the Not Yet Sold files. Click here for more in this series of rejected cartoons: Not Yet Sold. As is often the case with my rejected cartoons though, this makes an unpaid appearance in the Foghorn, magazine of the Professional Cartoonists Organisation. I even coloured it in for them. 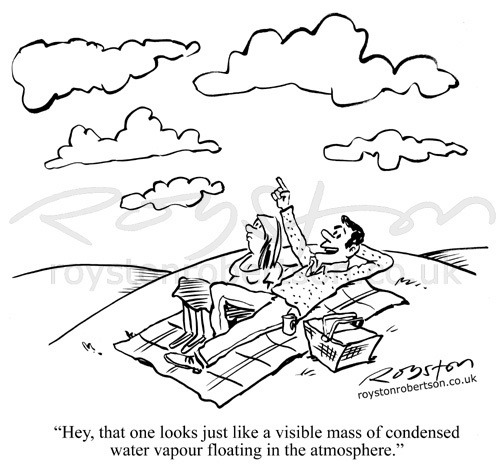 As well as joke cartoons, I draw humorous illustrations to accompany magazine articles. 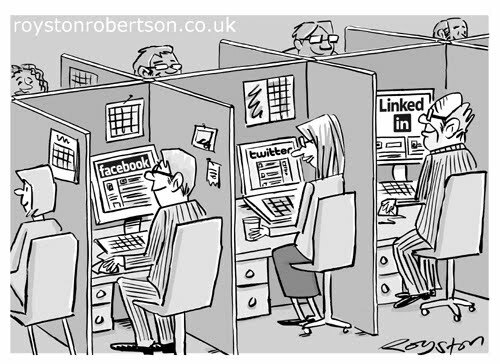 Here's a social-networking cartoon which I was commissioned to draw for a business magazine. Or perhaps it's a social not working cartoon, the idea being that they're communicating online but not so well in the "offline" world.